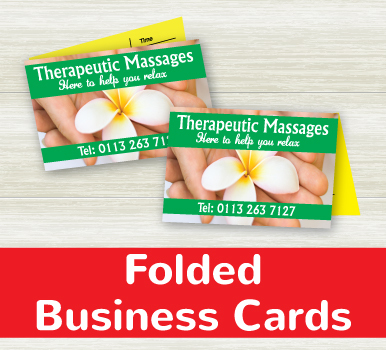 Folded business cards are ideal when you need that extra space to advertise your business or to add appointment times. Printed in full color onto 350gsm card with 4 lamination options available. Now available in 2 sizes. How would you like your Folded Business Cards?